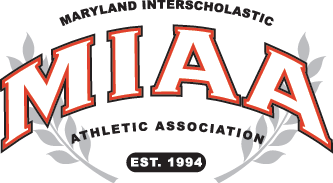 The wind was blowing out in East Baltimore, Thursday afternoon, and second-ranked Archbishop Curley took full advantage as it blasted five home run to rout McDonogh, 15-2, in MIAA A Conference baseball. Curley (16-3 overall, 9-2 MIAA A) got long balls from Trent Gast-Woodard (his 3rd), Nick Richardson (1st), Tyler Locklear (5th), Jale March (2nd) and Paul Nixon (6th). Curley needed just five innings to get the run-rule victory, back the pitching of sophomore Travis Neal who improved his personal record to 4-0. Pictured above: Sophomore Travis Nale, backed by five home runs, improved to 4-0 as he pitched Curley to a 15-2 victory.